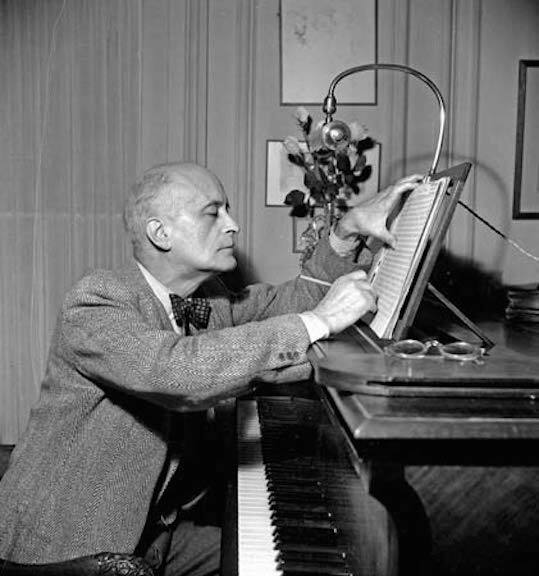 Classical music: Which are the most famous and most popular string quartets? And which ones are your favorites? Does The Ear ever love chamber music! And it has been a good few days for him and for other Madison fans of string quartets. On Saturday night, The Ear heard the Ancora String Quartet (below) in outstanding performances of the “Dissonance” Quartet by Wolfgang Amadeus Mozart and the late String Quartet No. 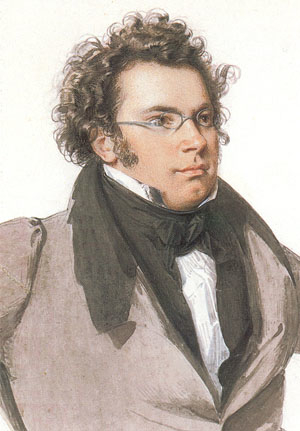 13 in A Minor, “Rosamunde,” by Franz Schubert. Then on Monday night, the Ear heard the terrific Rhapsodie Quartet (below top, in a photo by Greg Anderson), made up of players in the Madison Symphony Orchestra, perform the “American” String Quartet by Antonin Dvorak followed by the sublime and profound Cello Quintet by Franz Schubert. 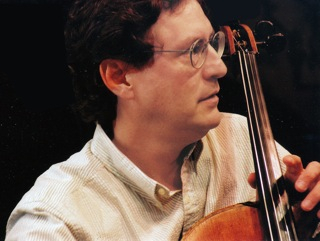 UW-Madison and Pro Arte Quartet cellist Parry Karp (below bottom) sat in as the extra cellist. 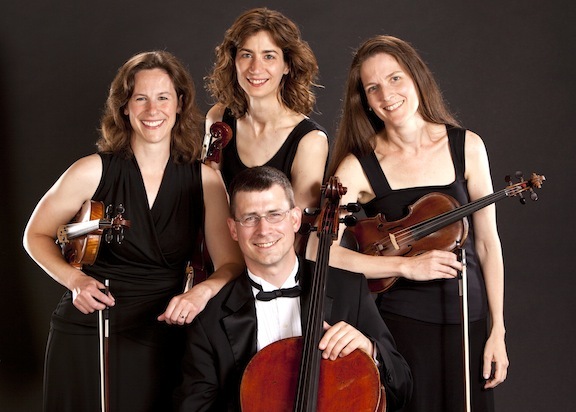 At the Ancora concert, cellist Benjamin Whitcomb, who teaches at the University of Wisconsin-Whitewater, made the case that Mozart’s “Dissonance” Quartet is well known for its apt nickname and is probably the best known or most popular of Mozart’s string quartets. 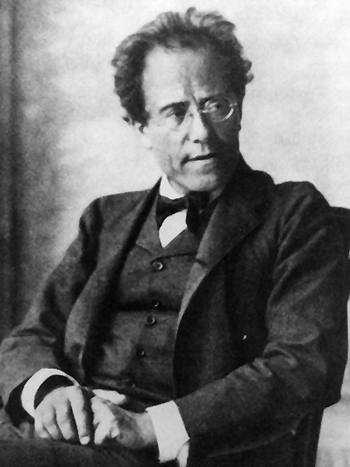 What are the most well-known and most popular string quartets? And which string quartets are your favorites that you would recommend to other chamber music fans? 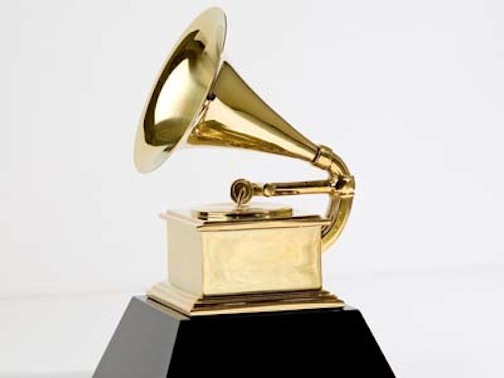 The Ear drew up a list of candidates of the first honor of being well-known. 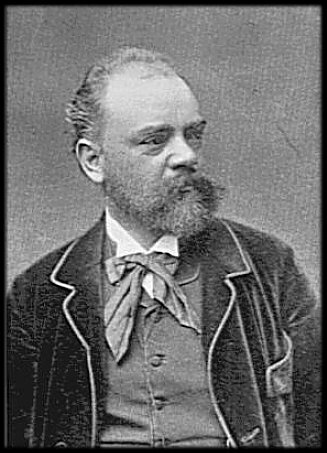 He suspects that the “Emperor” Quartet — with its famous and infamous slow movement theme that was turned from an homage to the Austrian emperor into an anthem for Nazi Germany — by Franz Joseph Haydn, the “Death and the Maiden” Quartet of Schubert and the “American” Quartet of Dvorak all rival or surpass the public reputation of the Mozart’s “Dissonance,” although that one is certainly and deservedly famous to the general public. As to The Ear’s favorite quartets: The Ear is especially partial to the six early Op. 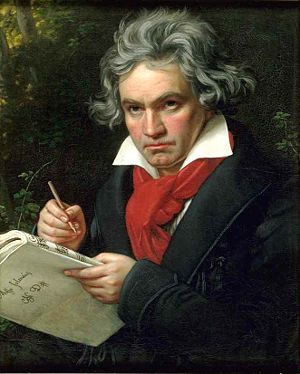 18 string quartets by Ludwig van Beethoven (below), which often take a back seat to the same composer’s middle quartets and late quartets. But of the famous last ones, The Ear loves the very last one, Op. 135, with its return to classical structure and clarity. He also loves all of the Op. 76 string quartets by Haydn (below top) and is especially partial to the “Sunrise” and the “Quinten” or “Fifths” quartets. He also loves Haydn’s earlier Op. 20 “Sun” quartets; and all six string quartets that Mozart (below bottom) composed for and dedicated to Haydn, generally considered the father or the modern string quartet who also played string quartets with himself on violin and Mozart on viola. As for Johannes Brahms, The Ear prefers the string quintets and string sextets to the string quartets. Francophile that he is, The Ear also loves the single string quartets by Claude Debussy and Maurice Ravel. 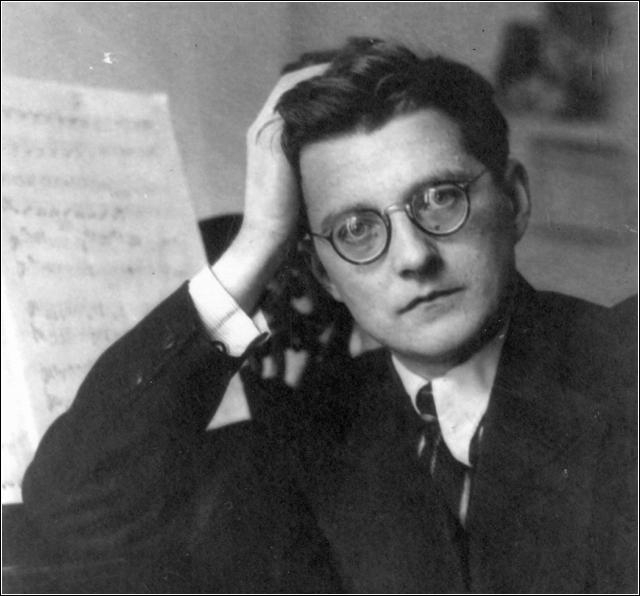 Among other modern string quartets, he loves the third and fifth of Bela Bartok, the second one by Sergei Prokofiev and the eight and 11th by Dmitri Shostakovich. He also adds the String Quartet No. 3 “Mishima” by Philip Glass. Well, that’s enough for today and for this post. What string quartet do you think is the most famous or most popular? And which string quartets are your favorites? Leave word, with a YouTube link if possible, in the COMMENT section. Classical music: Here’s bad news — There will be NO string orchestra this season to replace the University of Wisconsin-Madison Chamber Orchestra this year – or maybe next or maybe ever. Some bad news reached The Ear yesterday, on the first day of classes at the University of Wisconsin-Madison. The following is an official announcement from the University of Wisconsin-Madison School of Music. 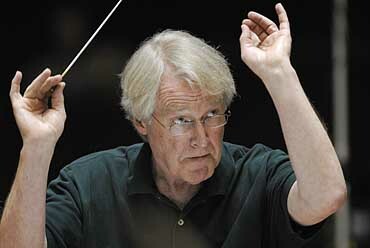 It comes from the administration via Professor James Smith (below), who heads the program in orchestral conducting. 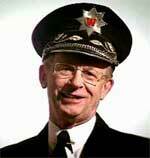 “It is currently listed on the timetable, so that will need to be changed. It will not exist either term. We can hope for next year. The UW Symphony Orchestra (below top, with student conductor Kyle Knox on the podium) will continue to exist and will give its first performance on Sunday afternoon, Sept. 28, at 2 p.m. in Mills Hall The program features UW visiting voice professor, soprano Elizabeth Hagedorn, from Vienna, (below bottom) in Gustav Mahler’s Rückert Songs. The orchestra will also perform the Symphony No. 1 “Spring” by Robert Schumann. 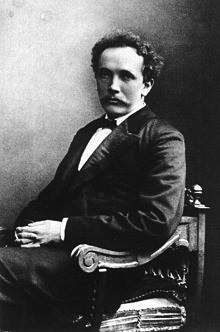 And here are two links to background stories about the UW Chamber Orchestra and the string orchestra that was supposed to replace it and do some impressive repertoire, including Mahler’s orchestra version of the famous “Death and the Maiden” string quartet by Franz Schubert as well as intriguing works by Igor Stravinsky and Bela Bartok. The Ear finds that the announcement leaves him with some important and disturbing questions. What is the solution to the problem? More scholarships to attract more talented students, as one source has said. 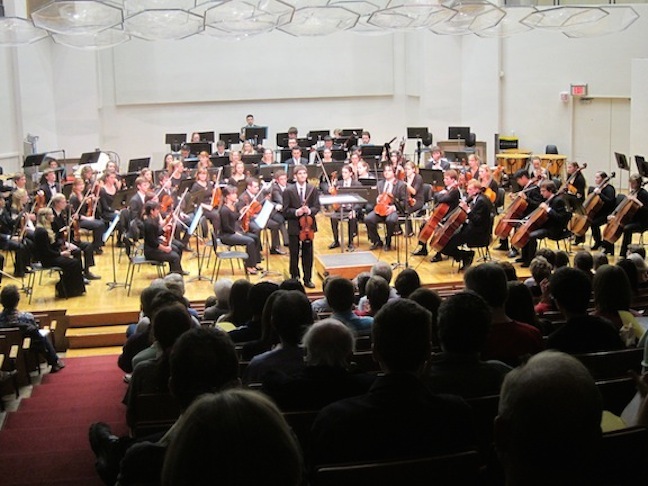 How will the lack of some smaller ensemble – either a chamber orchestra or a string orchestra – means for the prestige and national ranking of the UW School of Music? How will the move affect recruiting of new players in strings and other areas? What small orchestral group will perform smaller-scale orchestral works, either by itself or in collaboration with others? And does the concluding phrase “We can hope for next year” mean that the chamber orchestra is dissolved forever? That the best we can hope for is another chance at an all-string orchestra? No doubt details will emerge in the coming days and months. But it is all too bad. 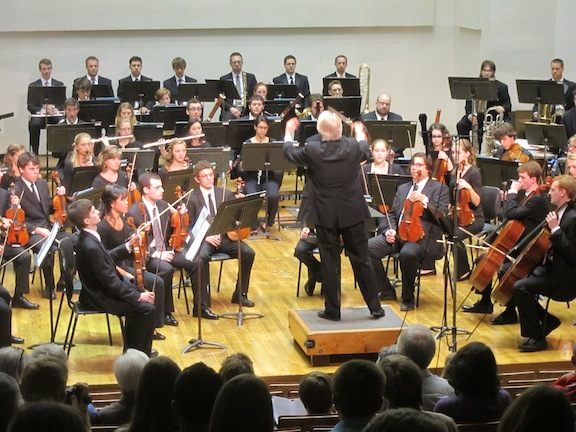 Classical music: The University of Wisconsin Chamber Orchestra gets a reprieve, thanks to compromise and repertoire adjustments — or so it seems right now. That makes The Ear happy, and should do the same for you. Plus, you can hear BOTH of Mozart’s piano quartets for FREE on Monday night at Oakwood Village West. 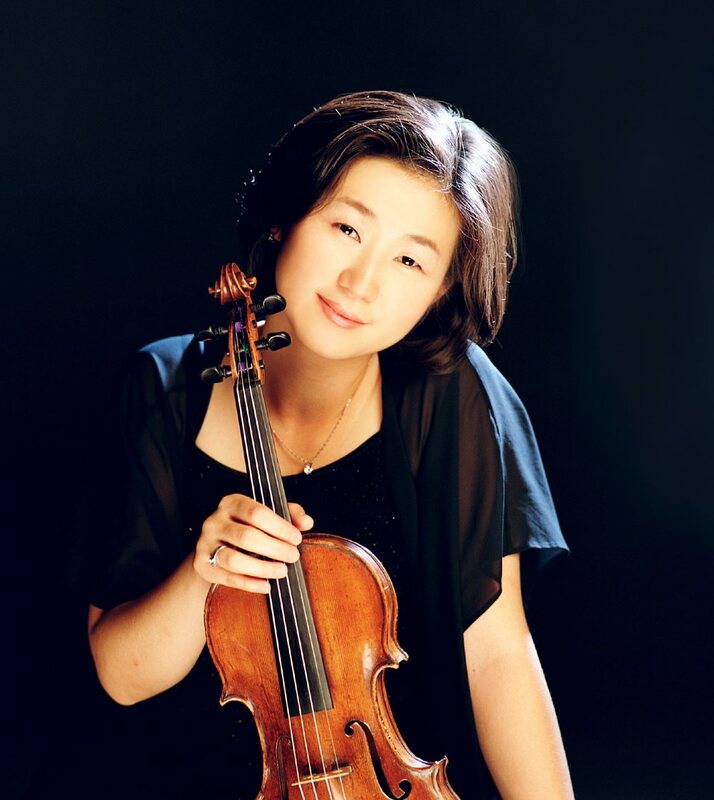 ALERT: Baroque and modern Madison violinist Kangwon Kim (below), who is a friend of this blog, writes: “I was hoping you could announce my FREE upcoming concert at Oakwood West. I will be playing both of the glorious Mozart Piano Quartets (in G minor, K. 478, and in E-Flat Major, K. 493) in the “Music on Mondays @7” Series with my colleagues, Matthew Michelic, viola; Stefan Kartman, cello; and Jeannie Yu, piano. 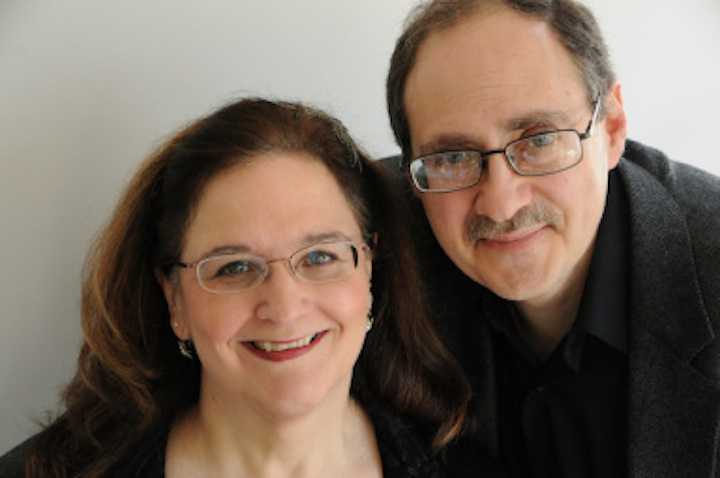 The concert will be held on Monday, May 19, at 7 p.m. in the ARTS auditorium at Oakwood West University Woods, 6205 Mineral Point Road on Madison’s far west side. Both of these quartets are very beautiful and we are very excited to perform them in the same program.” And The Ear adds: The two Mozart piano quartets are very different, and very complementary in mood -– not repetitious and wonderfully listenable. This performance is a great way to hear the differences between major-key and minor-key Mozart in one sitting. 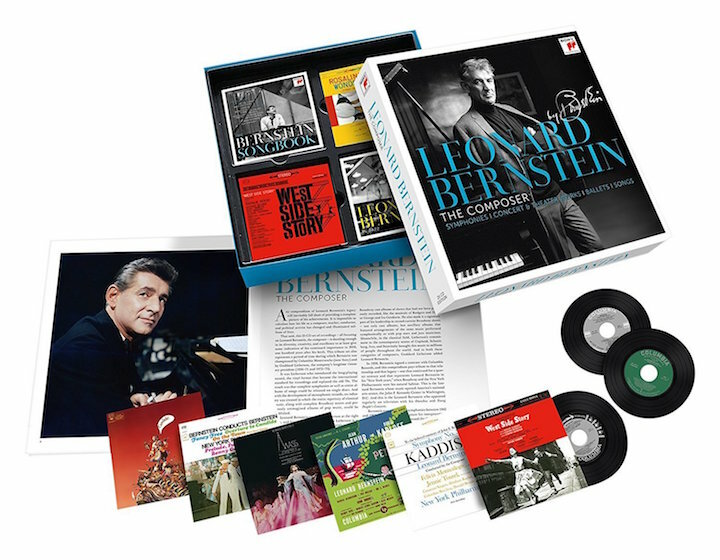 Talk about the perfect graduation gift for students at the graduation ceremonies this weekend at the University of Wisconsin-Madison! 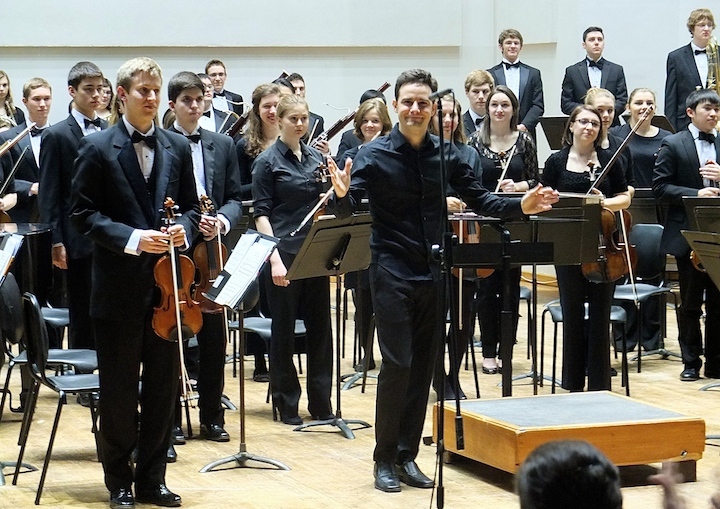 It now seems that it will NOT be either au revoir or adieu for the UW Chamber Orchestra (below), as it first appeared. 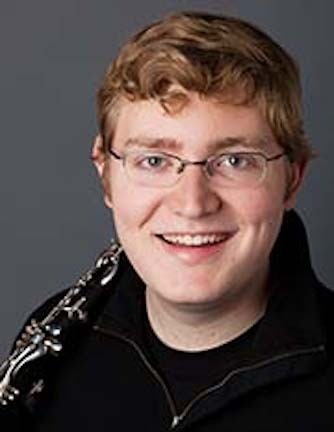 Conductor James Smith has made some compromises and adjustments that make it sound likely that the UW Chamber Orchestra will continue next season and next academic year without the hiatus of even one semester that seemed to be its certain fate earlier in this semester. 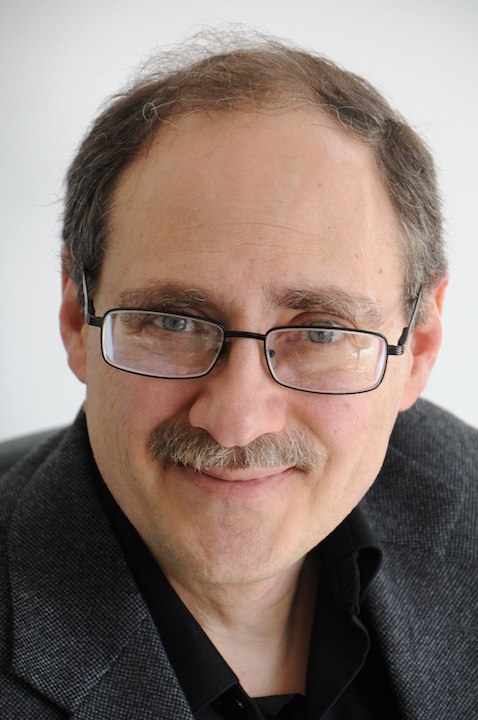 And now comes a reassuring year-end letter to students, faculty and staff from Jim Smith (below), who heads the instrumental conducting program at the University of Wisconsin-Madison School of Music. 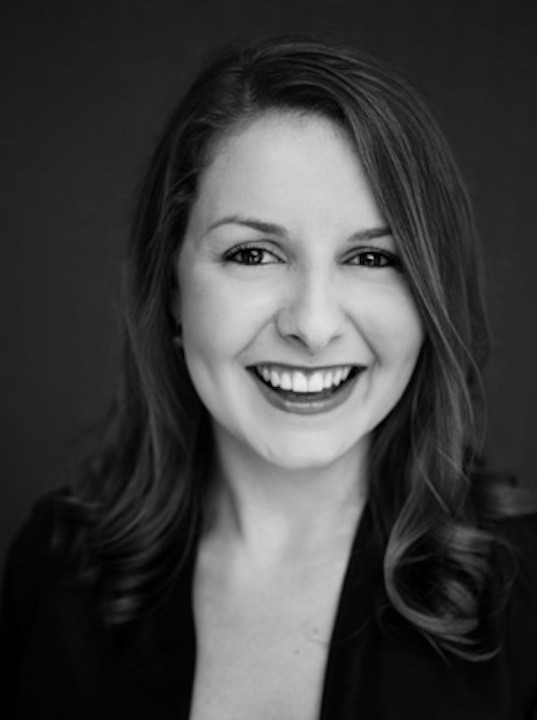 “I am writing to thank you for the artistry and professionalism you brought to every rehearsal and performance. We made some beautiful and exciting music together, and I am indeed lucky to be your conductor. 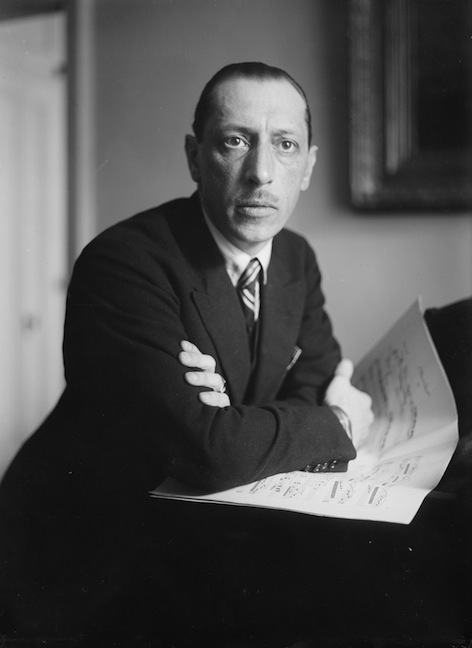 “Many members of the orchestra will graduate in a few days, and to each of you I send my very best wishes for a creative and interesting life. 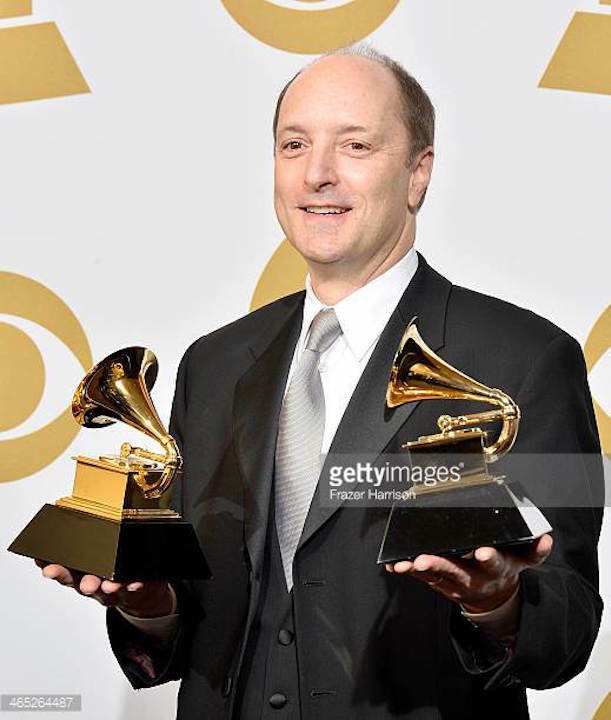 “Next year, there will a bit of a change in the orchestra program. There has been much speculation regarding the potential elimination of the Chamber Orchestra. I am happy to tell you that this is indeed NOT the case. “There is, however, some uncertainty regarding the number of winds available to fill the positions required for a proper chamber orchestra. So I have elected to program works for strings with the potential of adding keyboards, percussion, faculty soloists, and the solo winds as needed for various works. 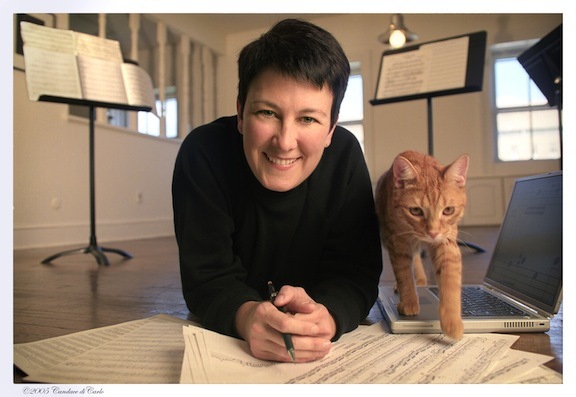 “I am quite excited about this repertoire, and know we will have wonderful concerts together. “You can register for Chamber Orchestra if it has been reintroduced into the schedule of classes. Hopefully, that will be the case. 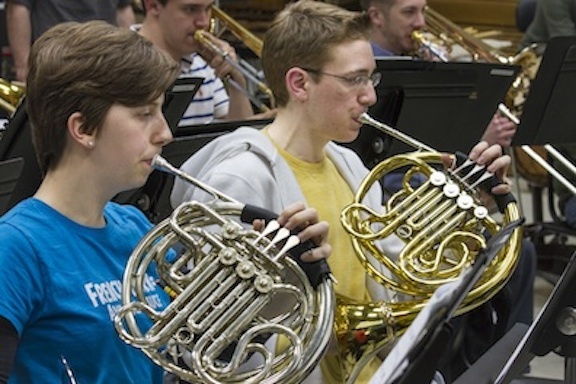 It may be listed Opera Orchestra, a title designed to act as a holding space for whatever substitute for the Chamber Orchestra was necessary to cover the opera production in the first semester. “Whatever the title of the course, it serves as your organization credit. Difficulties can be sorted out later. The orchestra will meet as usual on Mondays and Wednesdays. “Again, thank you for everything and have a wonderful summer. If you doubt how welcome this development is, take a listen to the video below. 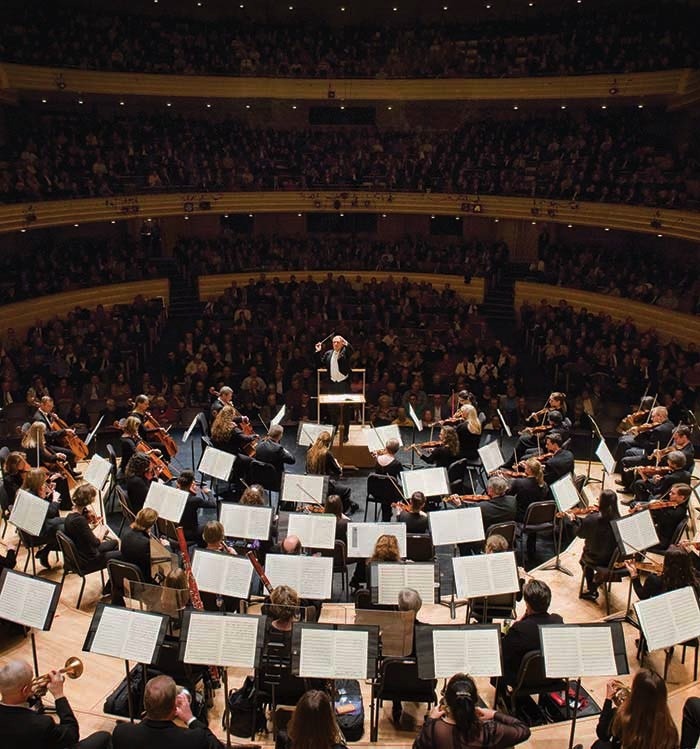 It comes from the outstanding last concert by the UW Chamber Orchestra, which, despite performing for free, deserve a full house every time they play. Some higher profile performing times might help achieve that. 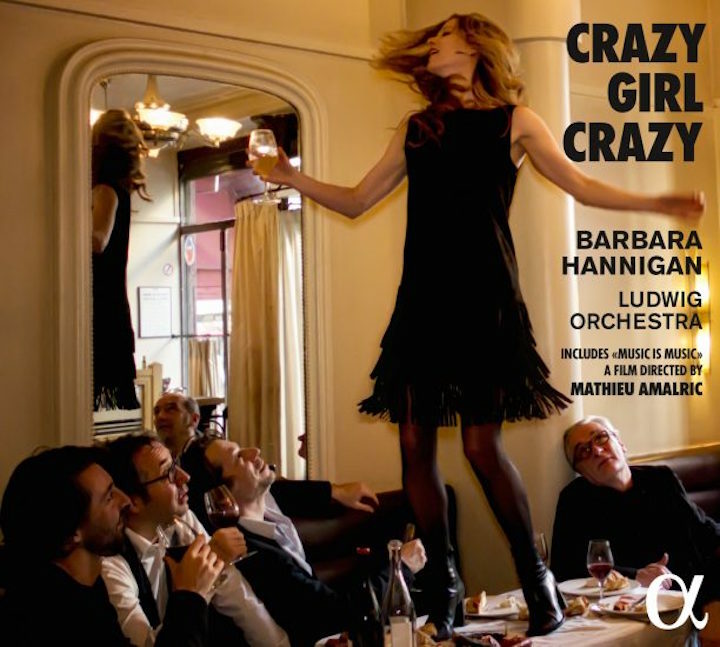 First, they performed a delightful homage to Mozart by French composer Jacques Ibert (below top) and then an homage-like Dance Suite to Baroque French composer Francois Couperin by the late Romantic composer Richard Strauss (below bottom). 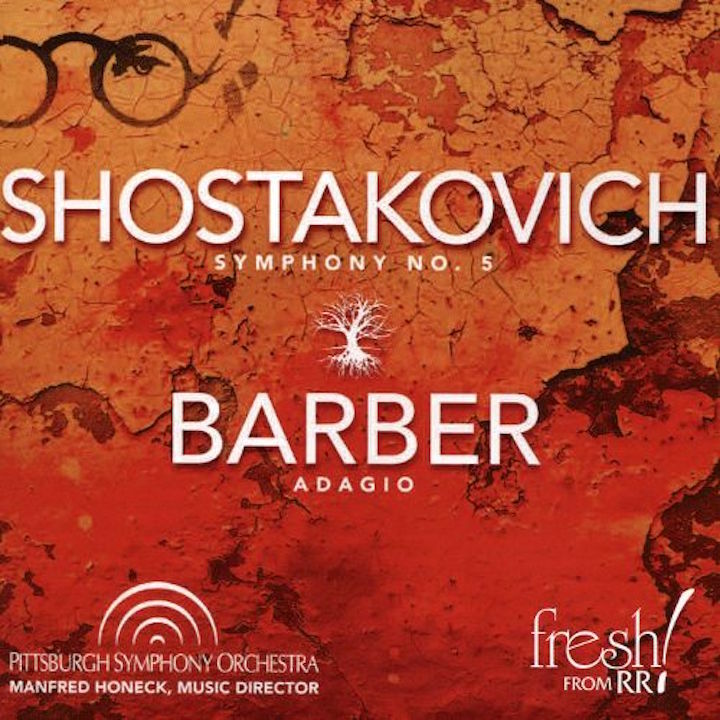 Then came a highlight, a genuine masterpiece: the Symphony No. 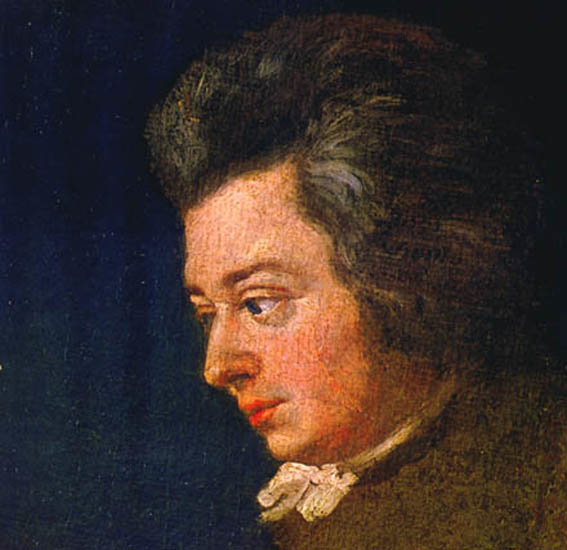 39 in E-Flat Major by Wolfgang Amadeus Mozart (below). The ensemble delivered with grace and taste, it also with muscularity. 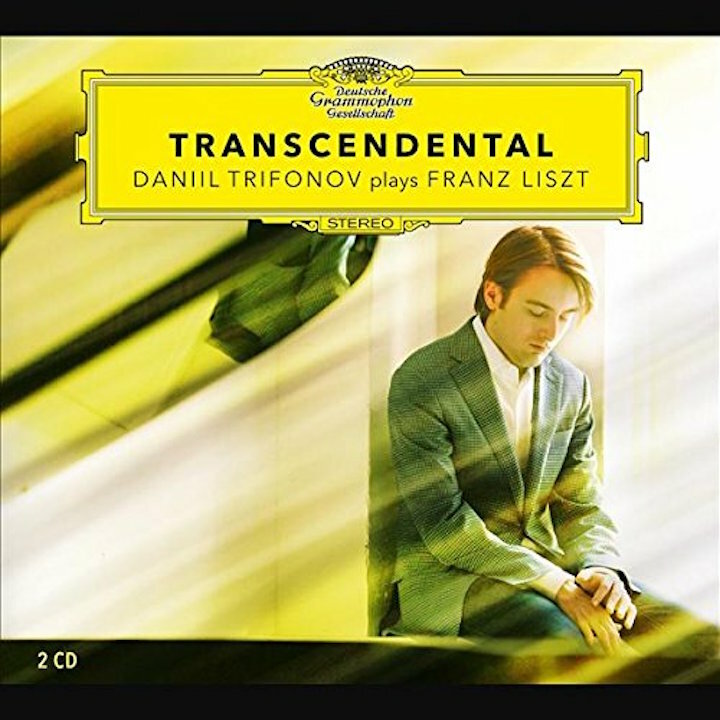 This was no music box Mozart, but a performance that shows you why Mozart has been so revered by other composers and listeners alike, and demonstrates what a big development Mozart proved in the history of Western classical music. 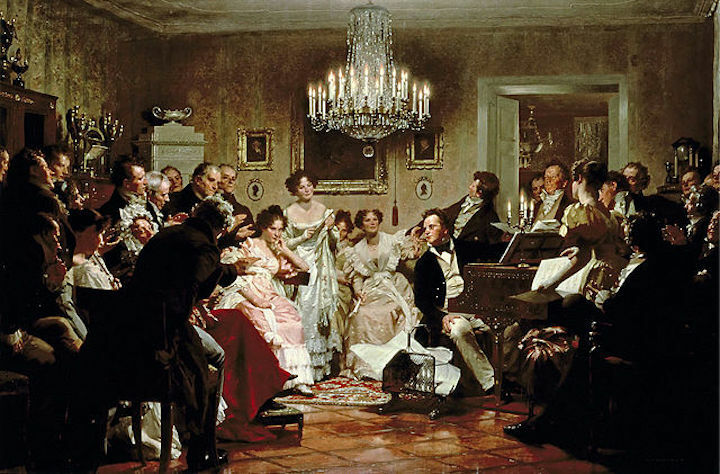 It sure showed how Mozart wrote a lot more than pleasant, easy-listening wallpaper music to accompany brunch or to allow listeners to multi-task. 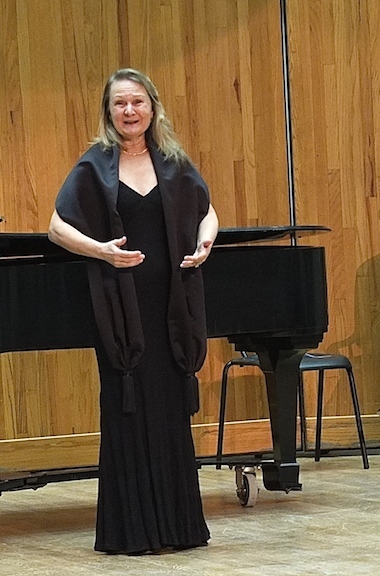 Classical music: It will be a busy week with many FREE concerts of many different kinds of music at the University of Wisconsin School of Music. 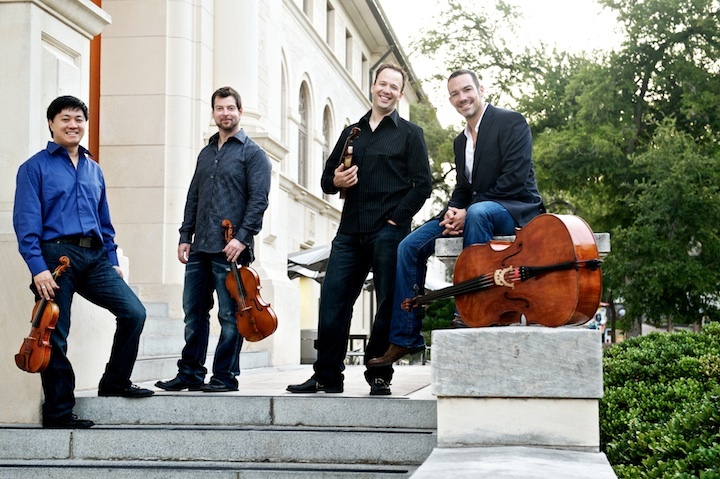 Plus, the Miro Quartet of Austin, Texas, will perform Haydn, Schubert and Philip Glass on Friday night. 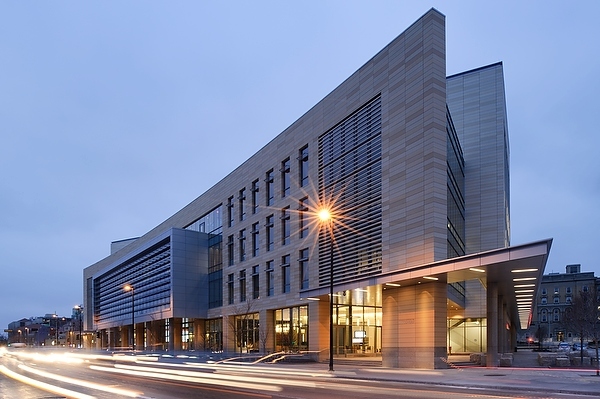 The next two weeks will be especially busy ones at the University of Wisconsin-Madison School of Music. 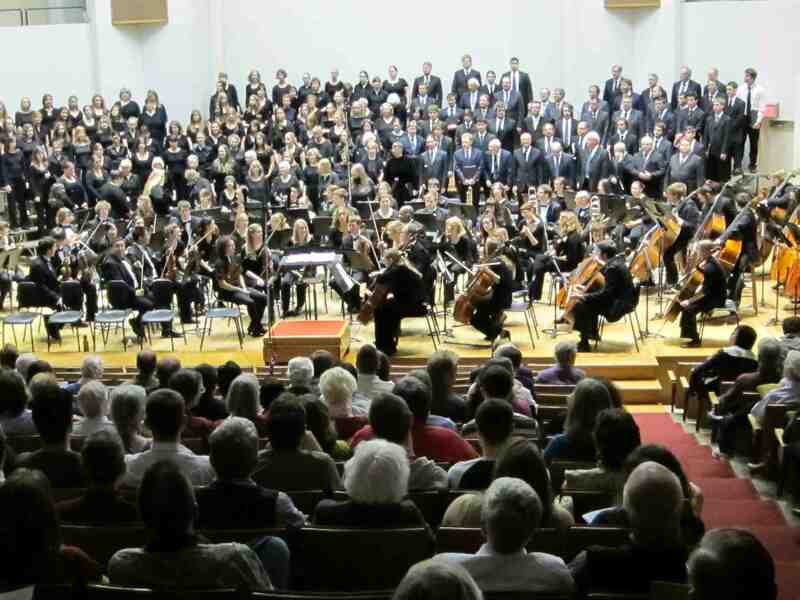 All save one of the concerts will be FREE, and they include orchestral music, percussion, strings, winds and even lectures linking science and music. 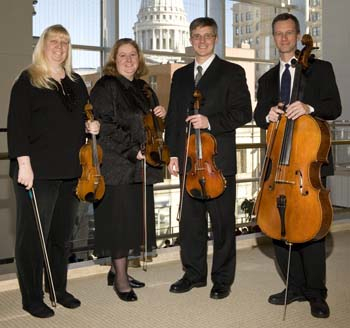 The program of Classical and contemporary masterpieces of features the “Lark” Quartet, Op. 64, No. 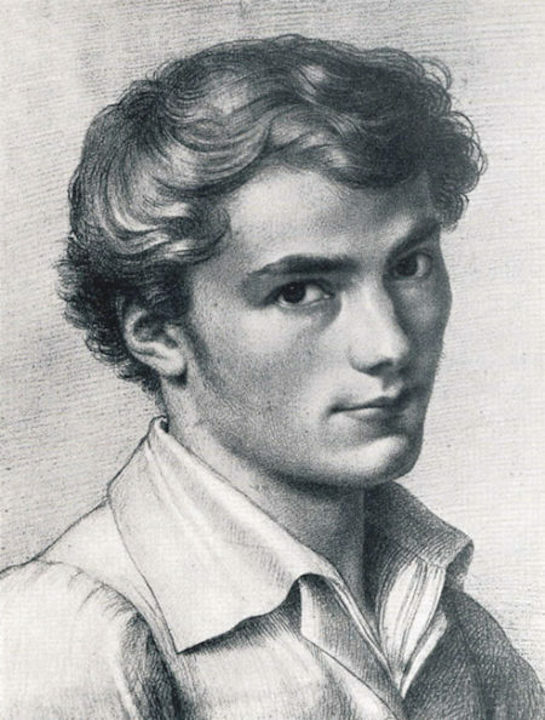 5, by Franz Joseph Haydn; Franz Schubert’s well-known and the String Quartet No. 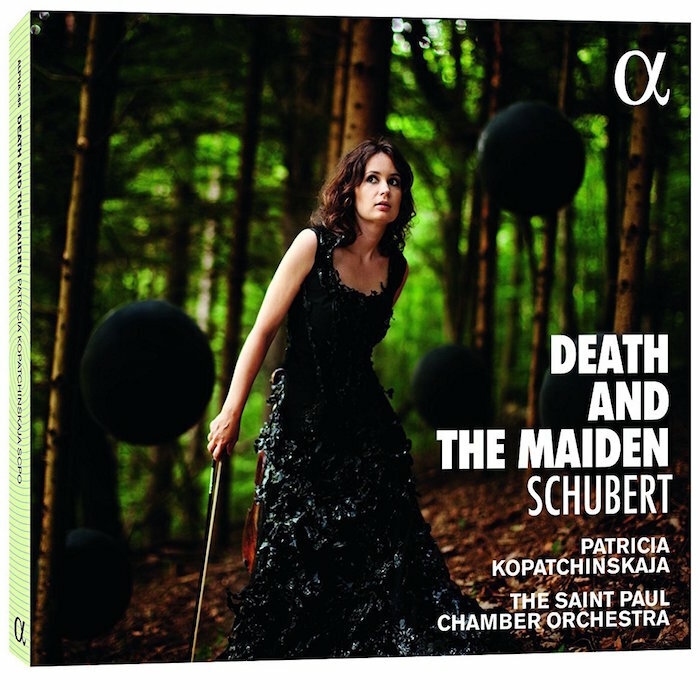 14 “Death and the Maiden”; and Philip Glass’ Quartet No. 5 (1991). Tickets are $25 for the general public; $21 for UW faculty and staff and for Memorial Union members; and $10 for UW students. “Winter’s Tale” by Lars-Erik Larsson. 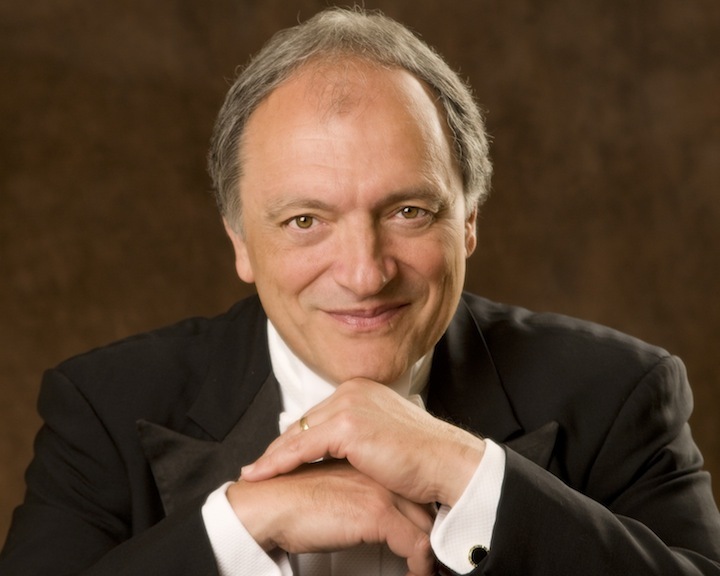 At 7:30 p.m. in Mills Hall, guest artist Todd Reynolds (below) will give a FREE recital. 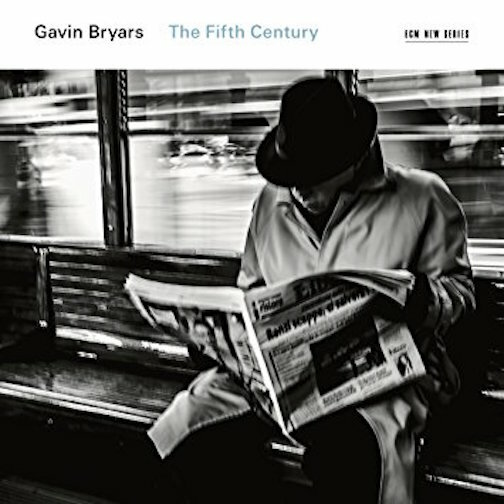 Reynolds is the violinist of choice for such well known individual and ensemble performers as composers as Steve Reich and Meredith Monk and the group Bang on a Can. 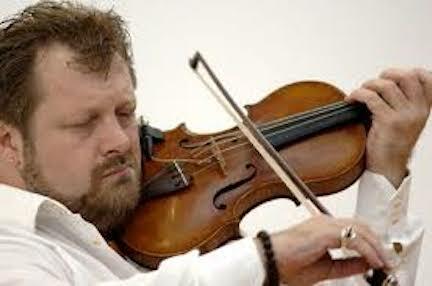 He violinist, composer, educator and technologist is known as one of the founding fathers of the hybrid-musician movement. 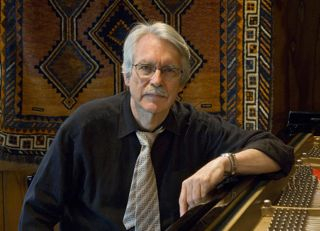 Todd Reynolds will be performing compositions of his own from his critically acclaimed 2011 CD “Outerborough,” including music by Michael Gordon, David Little, Michael Lowenstern and Ingram Marshall, and a couple of pieces written and improvised especially for the evening, right there, from the stage and in real time. 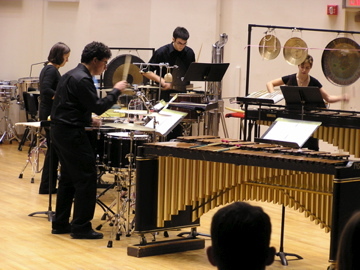 At 7:30 p.m. in Mills Hall, the UW Western Percussion Ensemble (below) will perform a concert that features the monumental work “Strange and Sacred Noise” by the contemporary American composer John Luther Adams (below), whose work was also featured recently by Clocks in Motion. Directors of the Western Percussion Ensemble are Tom Ross and Anthony Di Sanza. 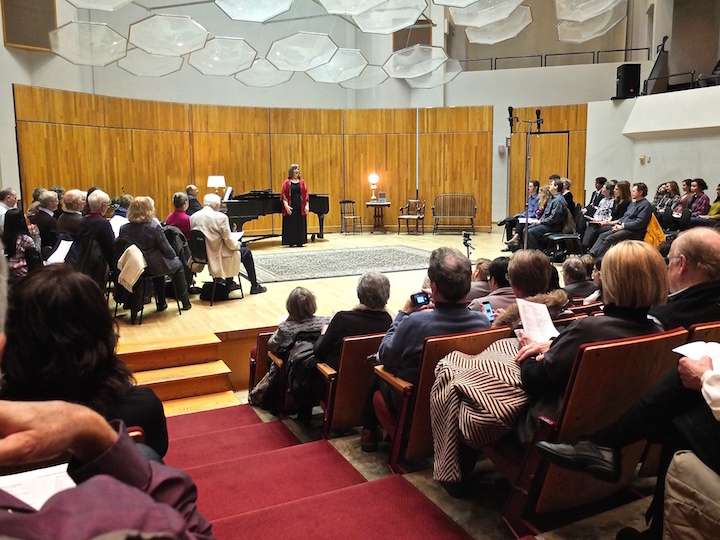 “SoundWaves combines scientific lectures about the world with live classical music performances. Each event revolves around a theme, exploring it first from many scientific angles and then through the lens of music. The program concludes with a live performance of music related to the evening’s theme. “The science lectures are delivered using language that the curious layman can understand, with a minimum of jargon and formulas. The music lectures, while demanding careful listening, are likewise designed for the layman and not the specialist. At 7:30 p.m. in Mills Hall, the UW Wind Ensemble (below) will give concert under director Scott Teeple that features the Wisconsin premiere of a work by composer Roger Zare. Works on the program include “Smetana Fanfare,” by Karol Husa; “Mar Tranquillitatis (Sea of Tranquility),” by Roger Zare (Wisconsin premiere); and “Ecstatic Waters for Wind Ensemble and Electronics,” by Steven Bryant. 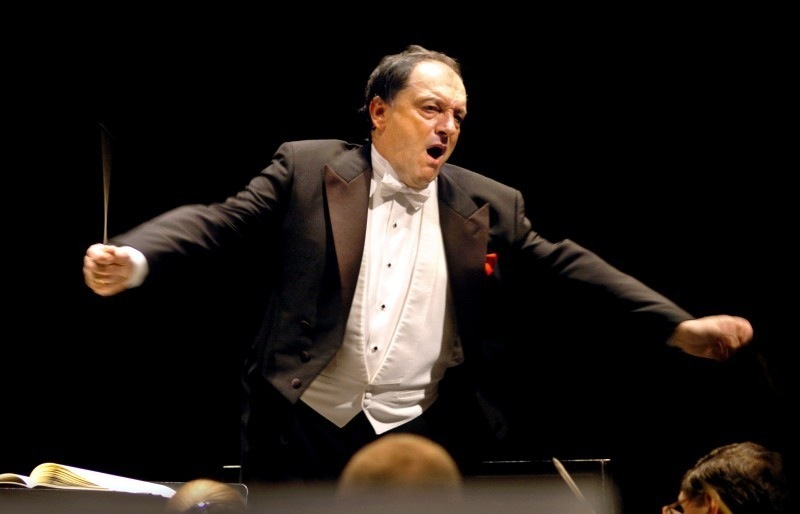 At 2 p.m. in Mills Hall, the UW Concert Band will perform under Mike Leckrone (below). Sorry, no details about the program are available yet. 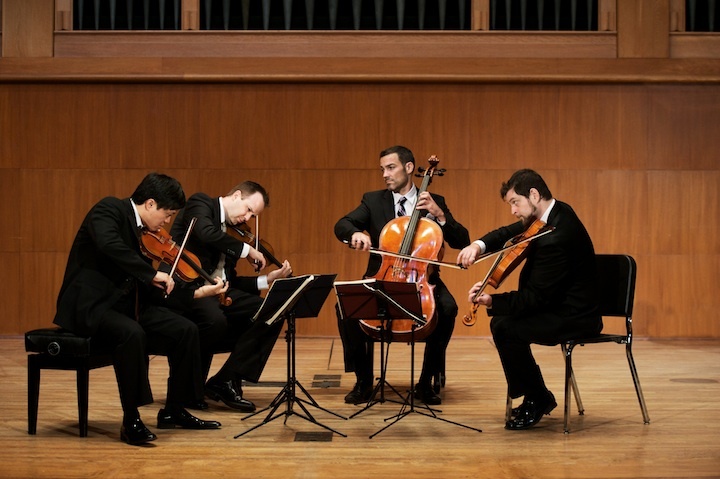 Then at at 3:30 p.m. in Morphy Recital Hall, the Hunt Quartet will perform a FREE concert. 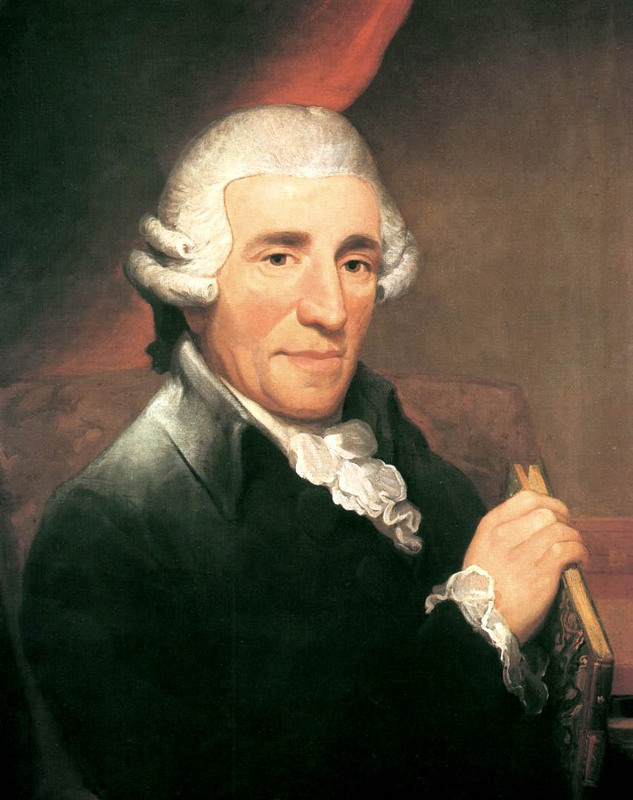 The program includes Franz Joseph Haydn’s “Sunrise” Quartet, Op. 76, No. 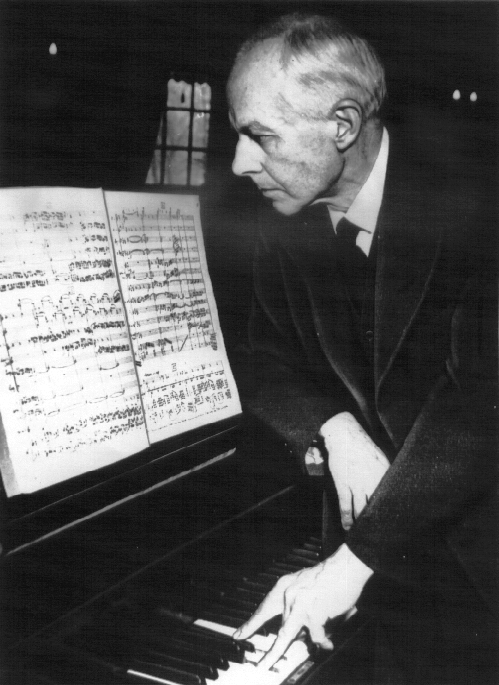 4, and Bela Bartok’s String Quartet No. 1. 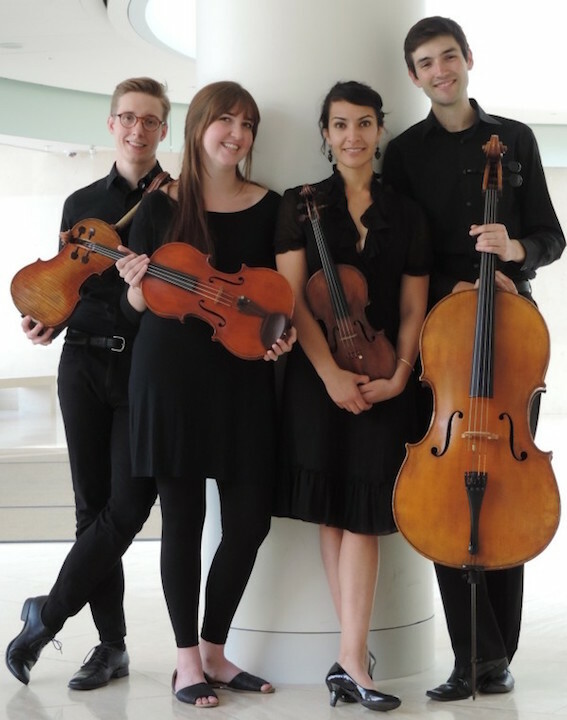 The Hunt Quartet (below, in a photo by Katrin Talbot) is comprised of outstanding graduate students from the School of Music, and is sponsored by the Madison Symphony Orchestra. This year’s members (from the left) include Ju Dee Ang, Elspeth Stalter-Clouse, Paran Amirinazari and Lindsey Crabb.